Saskatoon Roofing Services is your one of your favorite residential roofing services in Saskatoon. We value each customer and treat each roof as if we were repairing our own. 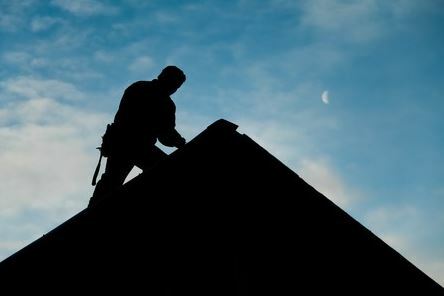 With years of experience, our roofers are skilled in every step of the roofing repair process. From the first time an inspector does the initial roof inspection to laying down the roof decking and shingles, all the way through cleanup upon completion; our expert team is ensuring that each step of the roofing process is completed with quality in mind. We have a skilled and reliable team of roofers and craftsmen working with us. If Saskatoon Roofing Services is involved, you can guarantee the job will be completed to satisfaction! Customer satisfaction is the top priority for Saskatoon Roofing Services. We want to keep our customers happy, and we do that through open communication. We build trust and act with integrity and we are experienced and trusted roofers in Saskatoon. Saskatoon Roofing Services is a reputable roofing company in Saskatoon for a reason. There is no roof too steep or too high for Saskatoon Roofing Services. From A-frames to flat roofs with very low slope to a three story mansion, to a small shed in the back yard: All roofs are treated with the same level of professionalism. The skilled professionals at Saskatoon Roofing Services have years of experience working with all types of roofs, and all types of roofing materials. Shingles and roofs span a wide range of materials, and we are skilled in working with them all. Fiberglass asphalt shingles, corrugated metal roofing, rubber roofing; we can do it all. We do a lot of Metal roofing Saskatoon, so give us a call. In addition to providing outstanding roofing work, Saskatoon Roofing Services offers other exterior home repair services as well. Maybe you have a leaking gutter, or your eaves troughs need to be repaired? We do gutter repair! We can take care of that for you. We also have years of experience replacing and repairing siding and cedar paneling, which can take a lot of abuse in the Saskatoon weather. Does your chimney need repair? Not a problem for Saskatoon Roofing Services. We have a skilled expert for every area of your home. Not just roofers Saskatoon but chimneys Saskatoon too!! We also offer preventative roof maintenance services as well as repair work. Ice and water protection, snow removal, leak detection and sealing. These are a few of the prevention and maintenance services offered by Saskatoon Roofing Services. Why fix a problem when you can prevent it from happening? Let Saskatoon Roofing Services prepare your roof for the harsh winter climate of Saskatoon! With a lengthy track record of safety and expertise, it is no wonder Saskatoon Roofing Services has such a great reputation throughout Saskatoon. Saskatoon Roofing Services values our customers, work safely, and build trust between our customers and the roofer. We are a good residential roofing company in Saskatoon and strive to maintain our reputation for quality, honesty, and integrity. Call Saskatoon Roofing Services today for all of your roofing needs!